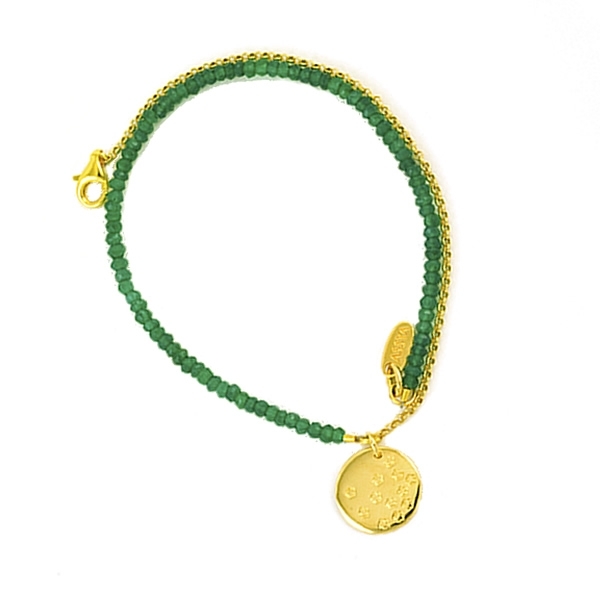 New, from the 'Peace & Love' Collection this Assya favourite features Green Spinel semi-precious stones and an 18ct gold vermeil chain with its signature vermeil pendant featuring the word 'Hope' engraved on one side and a scattering of tiny engraved flowers on the other. Designed to be worn twice wrapped around the wrist for a double chain look. Green spinel is known to be associated with Hope. Wear layered with other charm braceletes in the collection. Length: 33.5 cm.